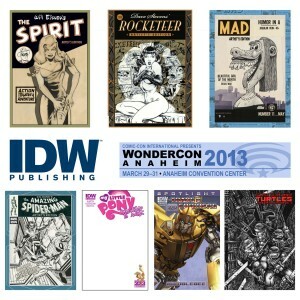 IDW Announces Programming and Exclusives for WonderCon 2013! « 3-Page Previews: X-O MANOWAR #12 Begins the Siege of PLANET DEATH! 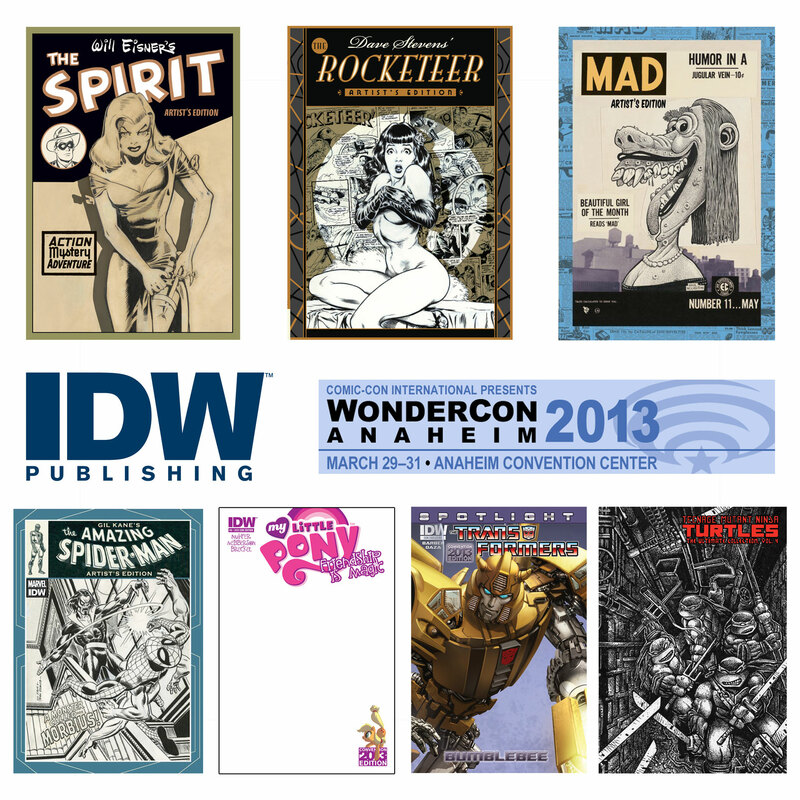 San Diego, CA (March 26, 2013) – IDW is pleased to announce a packed slate of panels, signings, and exclusive items being offered at this year’s WonderCon, being held at the Anaheim Convention Center in Anaheim, CA from March 29-31. IDW can be found at Booth #709 all weekend long, selling books, giving out high fives, and trying not to disrupt surrounding booths with the blinding light of their awesomeness. 5:30–6:30 IDW: Spotlight on Artist’s Editions! 12:30-1:30 IDW: The Big Panel! This entry was posted in Columns and tagged amy mebberson, ANAHEIM, chris metzen, chris mowry, chris ryall, david tipton, flint dille, heather nuhfer, idw, j.m. dematteis, john barber, john shirley, livio ra, mairghread scott, mark waid, mike costa, scott dunbier, scott tipton, signing schedule, thom zahler, tony fleecs, wondercon. Bookmark the permalink. Follow any comments here with the RSS feed for this post. Post a comment or leave a trackback: Trackback URL.